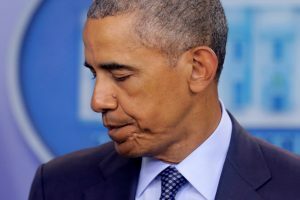 WASHINGTON — President Barack Obama is denouncing the Senate’s failure to pass gun control measures in the aftermath of the mass shooting in Orlando, Florida. Obama says on Twitter that the Senate failed the American people and that gun violence requires more than moment of silence. The White House has said previously that tweets from his account are from Obama himself. White House spokesman Josh Earnest says the vote is a “a shameful display of cowardice” He told CNN on Tuesday that the Republican-led chamber’s blocking of four gun control proposals Monday does nothing to keep extremists from acquiring guns.